Elaine Hancock (Olney, United States) on 26 August 2013 in Landscape & Rural. 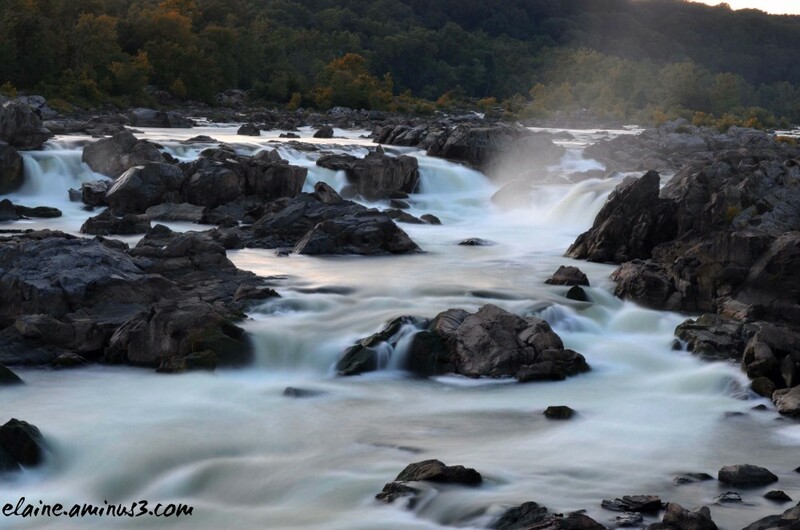 Great Falls on the Potomac River in Maryland. Always love the effect of a slow shutter speed. Beautiful scenery and effect on water, like it ! Ohhh a nice silk effect. Well done. I like. Very good long exposure, it worked beautifully. great scenery! love the "milky" water !!! magnifique composition et rendu, j'aime la petite vapeur d'eau en haut de la cascade. SAvec ce rayon quel eua en filet blanc et ces beaux rochers. A fine waterfall with excellent misty finish. Very effective shot. Wondeful capture of the water ! Beautiful ! Fantastic - I love how soft yet powerful the water looks. Such a beautiful and tranquil place to be with no one in sight!! I love that silky-smooth water! Wonderful softness in the water and detailed texture in the stones ... great exposure! A very attractive photo! Très belle image d'une nature sauvage avec un bel effet de pose lente. Magnifique endroit. Beautiful long exposure shot. Looks like you did some wading to get it. i like the creamy and smooth quality of the water flowing amongst the rocks! nice work on the shutter speed here! Fantastic and very nice to see ! Fine camera work Elaine ! !